For the longest time, Neo from The Matrix was easily Keanu Reeves’ most recognizable character. With his turn as the titular assassin in 2014’s John Wick, however, Reeves had a new career-defining role on his hands. Like The Matrix, John Wick seemingly came out of nowhere and became an immediate action classic. Unlike The Matrix Reloaded, though, John Wick: Chapter 2 is a rare sequel that doesn’t disappoint. Like all great follow-ups, it maintains everything that made the original standout without repeating the same formula. It actually ups the ante, earning comparison to Terminator 2, Die Hard 2, and The Bourne Ultimatum. It actually ups the ante, earning comparison to Terminator 2, Die Hard 2, and The Bourne Ultimatum. This sequel begins by tying up the only loose end from the first film: whatever happened to John Wick’s car? It’s another stellar set piece overflowing with intense chases, slick cinematography, and subtle humor. It all builds up to a confrontation between John and Viggo’s brother, played by Peter Stormare. In case you forgot, John previously assassinated Viggo and countless others in retaliation for killing his dog. Ten minutes in, it appears that we’re in store for another revenge flick as John takes out the rest of Viggo’s family. This isn’t the case, though. John eventually returns home with his car and new dog, but is given little time to relax. A fellow assassin named Santino D’Antonio (Riccardo Scamarcio) pays John a visit in order to cash in a favor. Santino wants John to kill his sister in order to usurp her position of power. John initially refuses, insisting that he’s out of the game for good. After Santino blows up his house, however, it becomes clear that John has no choice. He thus heads to Rome for one last job. John Wick: Chapter 2 is a blast from start to finish and that’s partially because of its unpredictable plot. It would’ve been easy for screenwriter Derek Kolstad to take the Taken 2 route and just remake the same movie. Instead, he turns in a sequel where you rarely know what’s going to happen next. Matters don’t exactly go according to plan once John arrives in Rome. Without delving into spoiler territory, let’s just say that he goes from being the hunter to being the hunted. John Wick: Chapter 2 is a blast from start to finish and that’s partially because of its unpredictable plot. Reeves is at the top of his game, creating a character that’s stoic and silent while also being classy and endearing. Of course he’s not the only memorable player. In the spirit of an action movie from the 80s, John Wick: Chapter 2 is full of phenomenal character actors that all leave an impression. Several fan favorites return, including Ian McShane as the mysterious Winston and Lance Reddick as the always-professional Charon. We’re also induced to a few new players, like Common as a vengeful bodyguard and Ruby Rose as a mute henchwoman. Reeves even gets to reunite with Laurence Fishburne, who plays a crime boss that aids John. The real star here, however, is Chad Stahelski’s direction. Having worked as a stuntman and stunt coordinator for years, Stahelski understands that watching two real people fight is infinitely more entertaining than watching CGI puppets fight. He packs his film with exceptionally choreographed martial arts and gun fu that never fail to impress. Throw in a neo-noir style and you have one of the most artistic action flicks of the 21st century. John Wick: Chapter 2 is a genuine rush that will only leave you wanting more once the credits role. 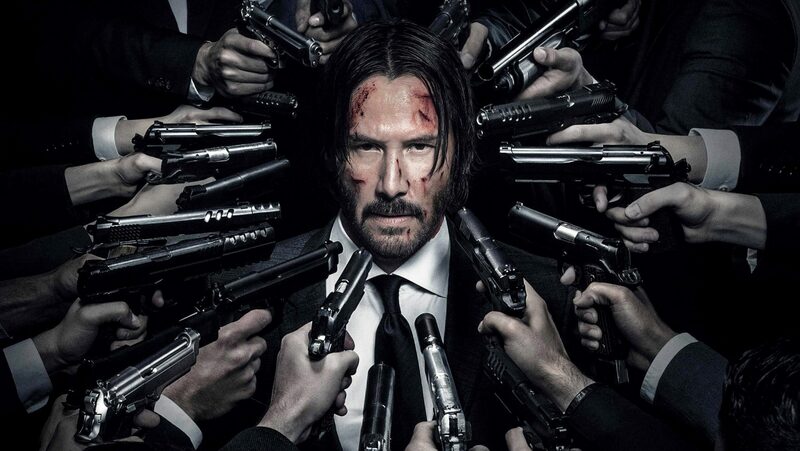 Given where the film ends, it’s safe to say we’ll be talking about John Wick: Chapter 3 in a couple years. This entry was posted in Reviews and tagged Action, Crime, Thriller on February 9, 2017 by Nick Spake.